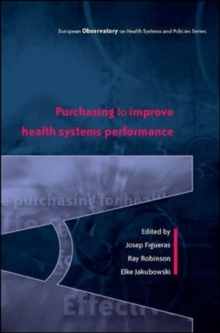 Purchasing is championed as key to improving health systems performance. 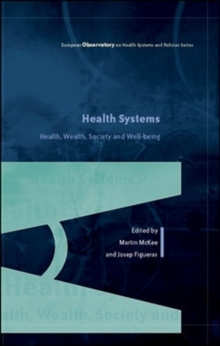 However, despite the central role the purchasing function plays in many health system reforms, there is very little evidence about its development or its real impact on societal objectives. 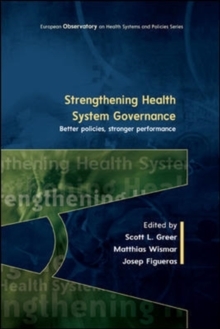 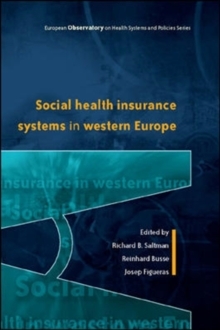 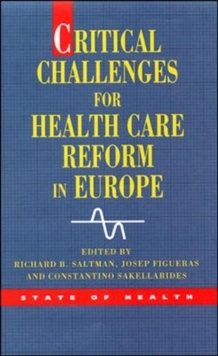 This book addresses this gap and provides:*A comprehensive account of the theory and practice of purchasing for health services across Europe*An up-to-date analysis of the evidence on different approaches to purchasing*Support for policy-makers and practitioners as they formulate purchasing strategies so that they can increase effectiveness and improve performance in their own national context*An assessment of the intersecting roles of citizens, the government and the providers Written by leading health policy analysts, this book is essential reading for health policy makers, planners and managers as well as researchers and students in the field of health studies.Contributors: Toni Ashton, Philip Berman, Michael Borowitz, Helmut Brand, Reinhard Busse, Andrea Donatini, Martin Dlouhy, Antonio Duran, Tamas Evetovits, Andre P. van den Exter, Josep Figueras, Nick Freemantle, Julian Forder, Peter Gaal, Chris Ham, Brian Hardy, Petr Hava, David Hunter, Danguole Jankauskiene, Maris Jesse, Ninel Kadyrova, Joe Kutzin, John Langenbrunner, Donald W.
Light, Hans Maarse, Nicholas Mays, Martin McKee, Eva Orosz, John Ovretveit, Dominique Polton, Alexander S.
Preker, Thomas A. Rathwell, Sabine Richard, Ray Robinson, Andrei Rys, Constantino Sakellarides, Sergey Shishkin, Peter C.